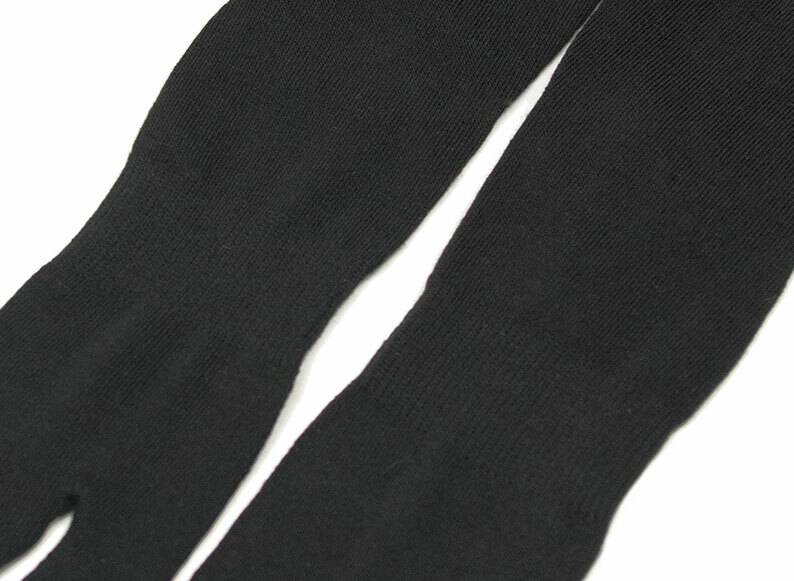 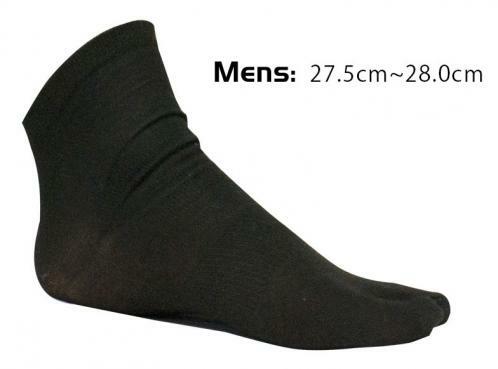 These lightweight black tabi socks have no fitted heel so they can fit a wide range of shoe sizes. 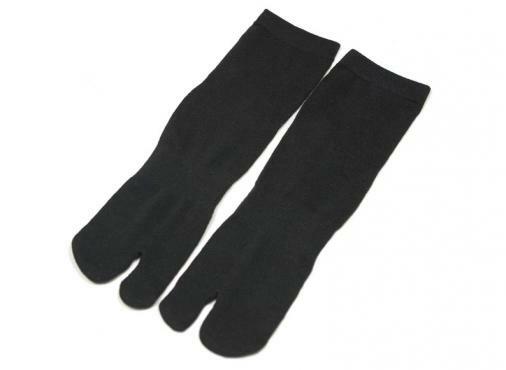 These lightweight black tabi socks have no fitted heel so they can fit a wide range of shoe sizes. 100% polyester so they're easy to wash. With extra support for the arches. 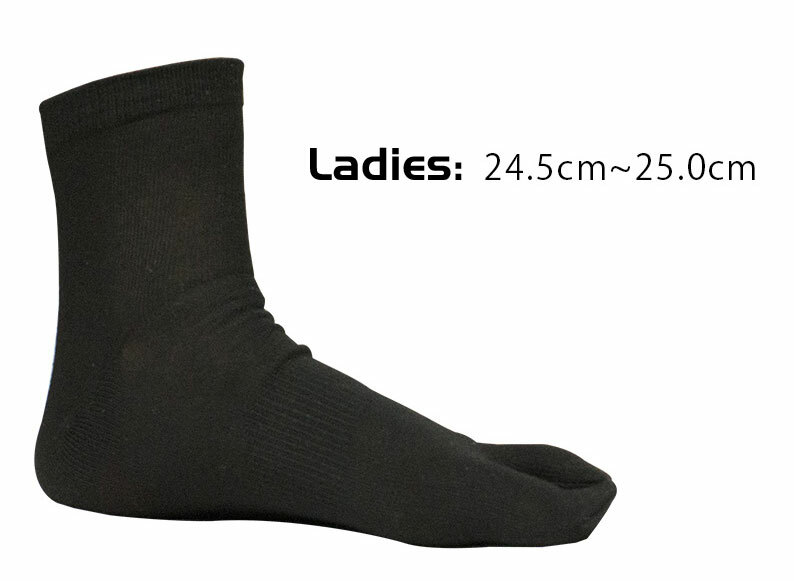 Ankle to mid-calf height.